Companies spend a lot of money these days creating killer content for Facebook, Twitter, Instagram and the various other social media platforms out there. Whatever business you're in, reaching your customers, clients and readers relies a huge amount on the ubiquity of social media sites. But there's no point spending time and resources on fantastic Facebook posts and tremendous tweets if you then don't know how to effectively monitor their impact and influence. Counting how many followers you have only tells part of the story. 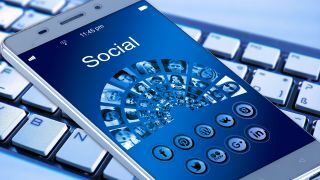 Getting the most out of your chosen social media platforms is as essential to your business as finding the right CRM system. That's why we've picked out five really useful social media analytics tools that will help you understand which of your posts are working, and which get a thumbs down. Snapchat was released in 2011, so there are relatively few marketing tools available for the platform compared to big names like Facebook and Twitter. The app works through the creation of short-lived 'stories' with which users can interact. Snaplytics is designed to help you manage this by taking regular snapshots of your Snapchat account and offering you Insights. The creators maintain groups of 20 accounts for each category, allowing you to benchmark your own account's success. You can also use Snaplytics' library of previously created content to view past efforts, see how well users engage with them, and republish if you wish. If you have a more complex marketing campaign, Snaplytics also supports scheduling stories ahead of time for later publication. You can organize stories with tags, allowing you to easily keep track of them as your campaign grows. Snaplytics' dashboard has been liberally praised online for its elegance, as has the app's ability to display marketing performance on a platform by platform basis. There's a free 14-day trial, after which you must contact the Snaplytics team for a quote. This is the only real criticism of the app, as a tiered pricing structure would be more useful for marketers working to tight budgets and deadlines. Sprout Social is probably first and foremost known as a one-stop shop for managing and scheduling all of your social media accounts through one simple-to-use platform. Very handy indeed for your company's social media administrator when they're trying to juggle Facebook, Twitter, Pinterest and more at once. There are quite a few social listening tools that we could have picked out for this list, but we've gone with the internationally-renowned Brandwatch. The Brandwatch Analytics tool puts its ear to the ground to eavesdrop on to the information that could be imperative to your company from Facebook, Twitter, blogs, forums, news and every other corner of the web. Social sentiment analysis shows the tone of the data collected from the profiles you've connected with, and it's easy to tap into pertinent trends and themes emerging from the internet that could tip the balance in your company's favour. We particularly like Brandwatch's personal approach from the premium Enterprise plan, where you get a dedicated account manager who will give you bespoke advice. Use the "Top Post" icon to compare different forms of content to see which works best for each network. While the Buffer app also allows for seamless Google Analytics integration for tracking the success of your marketing campaigns. If you're flying solo, then you can get Buffer absolutely free, while the reasonably priced Pro plan allows connections to 8 social accounts and costs only $15 (£11, AUS$20) per month. If you've got a little more leeway in your budget, then Simply Measured is probably the most thorough social media analytics tool here. Although the site offers a selection of free reports on sites including Facebook, Twitter, Instagram, YouTube and Google+, its range of more sophisticated subscriber reports available to paying users are what really catch the eye. Among its cleverest tricks are date and time engagement analysis, content type analysis to help optimise what types of content work and when and analysis on the community you're trying to reach. Simply Measured now offers Instagram Insights which allow for further analysis into your Instagram account activity.